Find out more about the VRA’s trustees. As Trustees they support the organisation on a voluntary basis. Throughout Deborah’s career as a nurse and case manager, her main aim has been to provide support and where indicated guidance in the use and development of recovery and rehabilitation services. 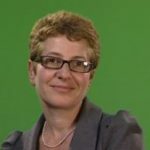 Deborah was one of the first to introduce case managed rehabilitation services to the UK insurance industry and over the years she has been prominent in influencing the ongoing development of proactive approaches to supporting people with disabilities. Deborah co-authored the first University accredited Case Manager training programme in the UK, Fundamentals of Case Management, went on to provide case management training within the NHS in respect to the Community Matron programme in its inception and remains active in training case managers as well as influencers and purchasers of case management and vocational services. Deborah worked with a large multinational insurance services company until launching her own business which later went on to be the largest provider of case management services in the UK. She is now managing a portfolio of services independently working with insurers, employers, solicitors and individual injured parties developing and implementing disability management services focused on maximising recovery and reintegration of injured and ill clients into work and society. Deborah was the first Chair of CMSUK, for three years Chaired the VRA’s Professional Development Committee and currently sits on the cross-party committee with APIL and FOIL working towards improving access and delivery of minor injury rehabilitation services. Her experiences have provided insight into political, economic, social and technological challenges that rehabilitation providers and recipients face in the UK and as a Chair of the VRA, she hopes to be instrumental in maintaining the evolution vocational rehabilitation. Since moving to the UK in 2000 Joy led Unum´s Vocational Rehabilitation Services, responsible for the provision of vocational rehabilitation services to its clients and their employees throughout the UK. She now provides absence management specialist services to employers and insurers. Joy trained as a clinical psychologist. She became a Trustee of the VRA in 2005 and was a founding member of the UK Rehabilitation Council. She is also an elected Board member of the Council for Work & Health. Joy contributes to the VRA through her work as Treasurer, her involvement in improving our membership, and the development of our webinar programme. In previous years, Joy has been actively involved in the development of the VRA’s original Standards of Practice and for many years was a member of the Professional Development Committee. David is an occupational psychologist working in central Government on a variety of organisational development issues. Prior to this he worked as an occupational psychologist in a variety of fields across the public and private sectors including Risk, human factors (specialising in useable and accessible IT solutions), vocational psychology especially in the field of disadvantage and employment and in the personal injury field. He has worked, in one capacity or another, on most of the major welfare-to-work programmes over the last 2 decades. David has edited a specialist Occupational Psychology journal; was a key architect of the revised VRA standards and wrote the VRA’s Informed Consent guidance. He writes and lectures on his areas of interest including employment and disability, self-efficacy and learning technologies. He has a small consultancy specialising in psychology-related research and evaluation in the area of disability, employment and skills acquisition. He works extensively across Europe. Jenny has been an occupational therapist since 1994 and currently has a role of lecturer and researcher at the University of Salford. 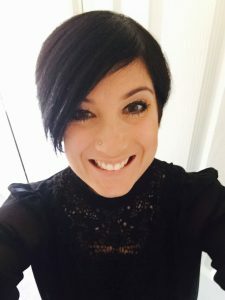 Her experience in occupational therapy as a practitioner and manager has included adult physical and mental health services that have been delivered by the NHS, social services and private sector. Jenny’s experience in vocational rehabilitation also includes welfare-to-work provision and working with employment advisers in the private sector and Jobcentre Plus. Jenny’s current research focuses on vocational rehabilitation within welfare-to-work provision. She has a particular interest in vocational rehabilitation practitioners’ professional and ethical challenges that are associated with welfare reforms. She is keen to support healthcare professionals to engage in vocational rehabilitation, and currently teaches on a Masters in Occupational and Vocational Rehabilitation. 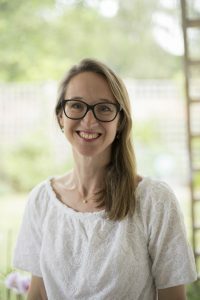 She is also a member of the COTSS – Work group. Debbie is an Occupational Health Physician, Director of Student Support and the Centre for Psychosocial Research, Occupational and Physician Health at School of Medicine, Cardiff University. Debbie undertakes research in physician health as well as running a service for Wales for doctors with mental ill health. She also undertakes research into mental illness and employment and improving the conversation about work and health in health practitioners. She is a principle investigator at the National Centre for Mental Health in Cardiff, which researches a wide aspect of mental health, including employment issues in Wales. Debbie is the Faculty of Occupational Medicine lead for Physician Health and helped establish in 2011 the UK Association of Physician Health. In 2012 Debbie received the OBE for her contribution to occupational medicine. Since 1995 Kerry Foster has been the Managing Director of Active OHS that WorkCover NSW and Comcare Accredited Workplace Rehabilitation Provider in Australia. Kerry works closely with employers to implement best practice injury management and recover at work policies and procedures. Kerry’s expertise extends to the Life Insurance/ Income Protection industry assisting members to regain their optimum functional and employment capabilities. Kerry has a Bachelor of Social Work (1980) from James Cook University in North Queensland AU and has some 35 years in the workplace rehabilitation and return to work arena. Kerry splits her time between the UK and Australia and joined the Vocational Rehabilitation Association as a Trustee in 2015. Kerry sees enormous possibilities in the UK for making a difference for people injured at work or experiencing unplanned work absences and sees targeting employers as key to successful outcomes. 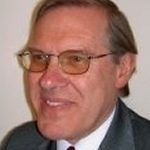 Andrew Frank was appointed Consultant in Rehabilitation Medicine and Rheumatology to Northwick Park Hospital in 1980, and Professor (Associate), The Institute of Environment, Health and Societies, Brunel University London in 1997. He was part-time Medical Director of Kynixa Ltd, 2007-2009. He was President of the British Society of Rehabilitation Medicine, 2000-2002 and was the founder Chair of its Vocational Rehabilitation Special Interest Group. He chaired the BSRM Working party that reported on Vocational Rehabilitation, 2000–2003. He has served the VRA as a Trustee since 2005, chairing the Professional Development Committee, 2007-2009, becoming Vice Chair in 2008 and Chair in 2009. He stepped down as VRA Chair in June 2013 and was awarded an honorary lifetime membership. Andrew was a founder member of the UK Rehabilitation Council and sat on the Council for Work and Health. He has published widely in the fields of back and neck pain, disability/rehabilitation and powered wheelchairs in addition to vocational rehabilitation, including a comprehensive review of vocational rehabilitation for non-experts in 2016 (doi:10.3390/healthcare4030046). He was awarded an honorary DSc from Brunel University in 2003 and became a Fellow of the Higher Education Academy in 2005. Alex has worked for over 10 years in the field of Vocational Rehabilitation. She spent 9 years working for Unum as part of the income protection product initially providing vocational rehabilitation case management, account management and training to clients and then moved to a role managing a team of consultants and overseeing the operational management of specialist assessments and treatment. 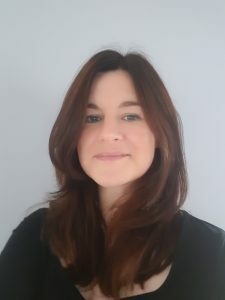 Alex currently works for Form Health (a sickness absence management solution company) where she has introduced a number of new services including vocational rehabilitation and oversees operational management of services in addition to business development. 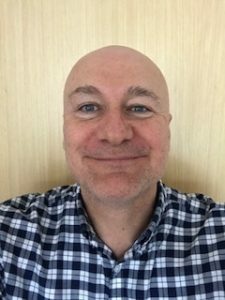 Gary works as a Senior Operational Advisor on Social Finance Projects, having gained over 25 years’ experience in both Australia and the UK in assisting large tertiary rehabilitation services achieve strategic quality improvements, increased service user outcomes and overall quality and growth objectives. Over the last 10 years in the UK, Gary has undertaken large scale service integration and improvement projects, won and operationalised large scale new services including a catastrophic case management service for insurers, remote mindfulness services and conditional management programmes for corporates, embedding a vocational rehabilitation service for cancer patients at the Christie Hospital and the development of a followership construct of leadership for an NHS Trust. In 2016 Gary completed an MBA in Leadership and Change and is a guest lecturer in Occupational Health and Vocational Rehabilitation at Salford University. 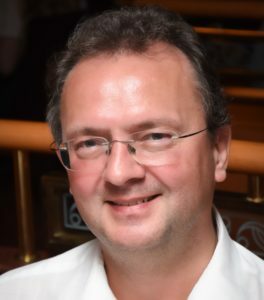 Alex is an experienced General Nurse who spent time gaining a wide range of experience in both the NHS and private sectors before joining Unum, the largest group income protection provider in the UK in 1995. Alex was the first ‘in-house’ nurse to join Unum where she was tasked with building a new team of Insurance Nurse Specialists providing specialist medical input to the claims assessment process. Alex developed the scope of this role which eventually covered two business sites and offered specialist medical input for the Claims Management and Underwriting departments, Claims Visits and Training. In 2006 Alex moved to Canada Life to develop a vocational rehabilitation team and oversaw the rapid growth of this team from five to 170 members in eight years. Whilst working for Canada Life, Alex maintained her own portfolio of rehabilitation cases with an emphasis on large clients and complex claims and, as well as leading the team from an operational working alongside senior management to ensure corporate objectives were met. 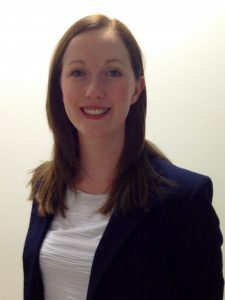 Alex started her own business, Absence Management Solutions Limited, in March 2014 and since then has worked with many insurers providing vocational assessments, return to work case management, training, desk top reviews and audit. On two occasions she has been asked to present on vocational rehabilitation at insurer led customer / broker conferences. She also provides absence management support to organisations who do not have income protection insurance. Beth started her career as an Occupational Therapist working across a range of Hospital Settings from Stroke Rehab to cancer care, Chronic Fatigue and Rapid Response. She then specialised in Vocational Rehabilitation 9 years ago supporting individuals and employers with return to work facilitation. Beth is now the manager of the Rehabilitation and Wellbeing Team; overseeing the Specialised Assessments outsourcing service, developing and managing the Employer Training programme (On Course), supporting the development and proposition of the Rehabilitation team and managing the team of Rehabilitation and Wellbeing Consultants with their case and account management portfolios to support customers with their absence and wellbeing programmes. Helen is an Operations Manager with a background in occupational therapy, specialising in vocational rehabilitation. As an occupational therapist she gained experience in condition management working with long term unemployed as part of the Pathways to Work Programme, and in absence management working with a wide variety of private and public sector organisations. This blend of skills and experience enables Helen to understand and support the needs of individual service users, employers, and the insurance industry. Christine Parker qualified as a physiotherapist in 1980 and has extensive clinical experience in the NHS and private healthcare. She held senior roles in community rehabilitation; set up musculoskeletal services in GP surgeries; and managed community hospital physiotherapy services, with a specific remit for the development of quality assurance and evidence-based practice. 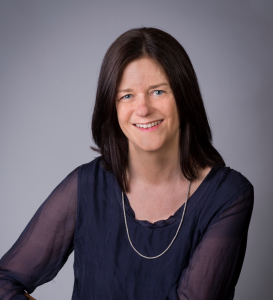 Christine moved on to a specialist role in chronic pain and complex condition management in 1994, taking a Clinical Lead role in the transition of a medical interventionist pain clinic into a contemporary, award winning interdisciplinary Pain Management Service. She moved into an academic role at the University of Salford in 2005 and is now a Senior Lecturer in the School of Health and Society. Christine engages in teaching, research and commercial initiatives across the health and wellbeing sectors, with a particular focus on supporting the development and inclusion of work-related health outcomes in routine healthcare practice. She led on the development and delivery of a training series for Greater Manchester Public Health Network on developing Healthy Work Conversations across health and social care, which won an award from the Vocational Rehabilitation Association. Christine and colleagues at the University of Salford carried out the evaluation of the Health & Work Champions Pilot Project for Public Health England and the Royal College of Occupational Therapy. 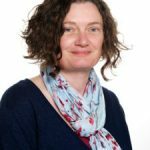 She has also developed the work and health theme with colleagues on the undergraduate physiotherapy programme and has led the development and delivery of a multi-disciplinary MSc in Occupational and Vocational Rehabilitation. 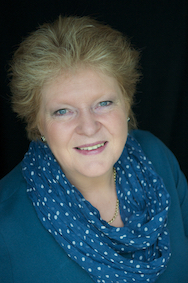 Christine has been an associate practitioner for Vitality 360 and sits on a Cinical Advisory Group for Ingeus. She was a VRA Trustee from 2010 to 2015, after which she continued to represent the VRA on a joint project with CMSUK and BABICM, working to establish accreditation for quality case management practice. 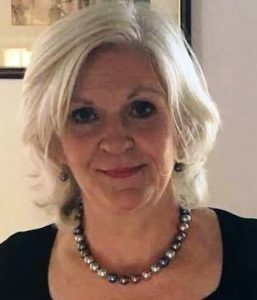 Christine is delighted to have the opportunity to join the Trustee Board again and is looking forward to contributing to the exciting new developments on the horizon. Linda has been a Registered Nurse since 1985 after completing her nurse training in the British Army (QARANC).. She completed a BSc in cancer and palliative care between 1999 and 2003 and used this knowledge to help develop one of the first case management support programmes in 2008/09 for employees with cancer to be supported back to work. 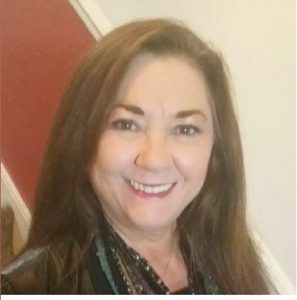 Since 2001 Linda has worked in income protection, for 9 years, case manager in personal injury, team manager and Operations Manager to teams of clinical and vocational case managers for a further 9 years. Much of this time was spent working with clients or supervising colleagues to support clients back into work or study. 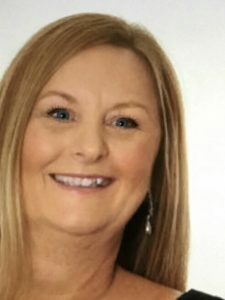 In 2016 Linda moved into her current role as Operations Manager, Rehabilitation and Case Management at Bush & Company Rehabilitation and provides support and supervision to a large team of clinical and vocational case managers working with clients with catastrophic injuries within the personal injury field and also with charity partners. This role includes service development to ensure they are meeting the needs some of the most vulnerable and badly injured clients whilst supporting them in their choices to work or study. Linda is keen to ensure that work remains at the core of healthcare and rehabilitation planning for the most catastrophically injured client group to allow them to have a voice within the industry and enjoy good access to support. This would include the introduction of vocational prescriptions and work as a health outcome. She would also like to be involved in working to support the catastrophically injured client group be offered the option to use their personal health budgets to achieve their vocational outcomes. Dr Julie Denning is a Chartered Health Psychologist with over 17 years’ experience of working in the vocational rehabilitation sector. She has designed and delivered work focused services to support people with long term conditions including, persistent pain, cancer, chronic fatigue and mental health to return to work when ready. As Managing Director for Working To Wellbeing she is responsible for the design and delivery of VR services that are multi and interdisciplinary in approach. She manages and clinically supervises a team of Occupational Health Physiotherapists, Cognitive Behavioral Therapists and Occupational Therapists. She has experience of providing services within the insurance, occupational health and business to business sectors. As an ACPOHE tutor and lecturer she trains Physiotherapists to improve their communications skills with their patients by applying a biopsychosocial approach and using the most up-to-date psychological interventions in order to improve clinical outcomes with their patients. This includes a strong work focus. Julie also lectures at Kings College London on their BSc Physiotherapy course, MSc Health Psychology and BScI for medical students on topics including, communication skills, work and health, stress management and leadership.